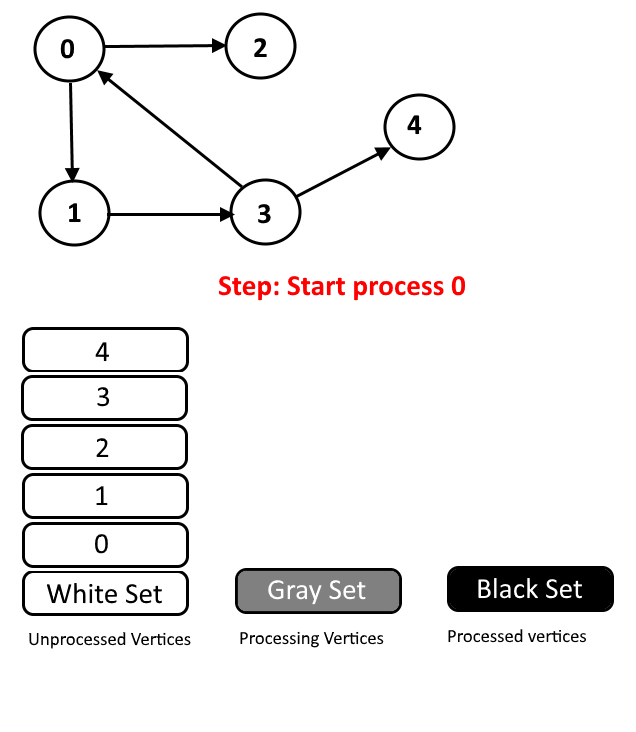 Earlier we have seen detect cycle using recursion stack. 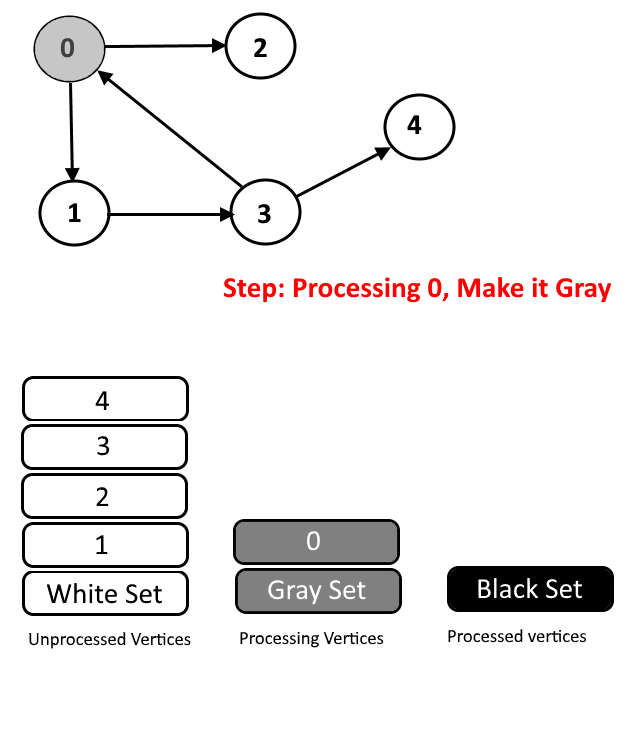 In this article we will how to use colors to detect cycle in graphs. 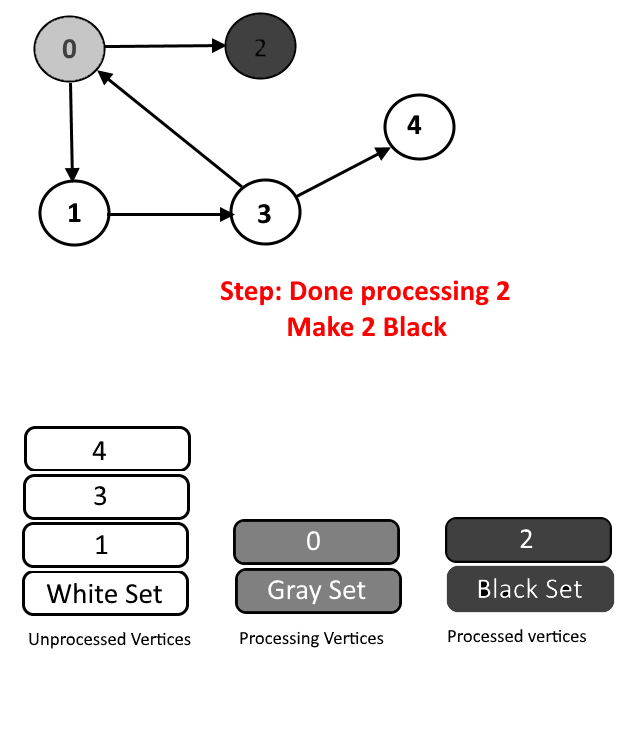 We will assign every vertex a color and will use 3 colors- white, gray and black. 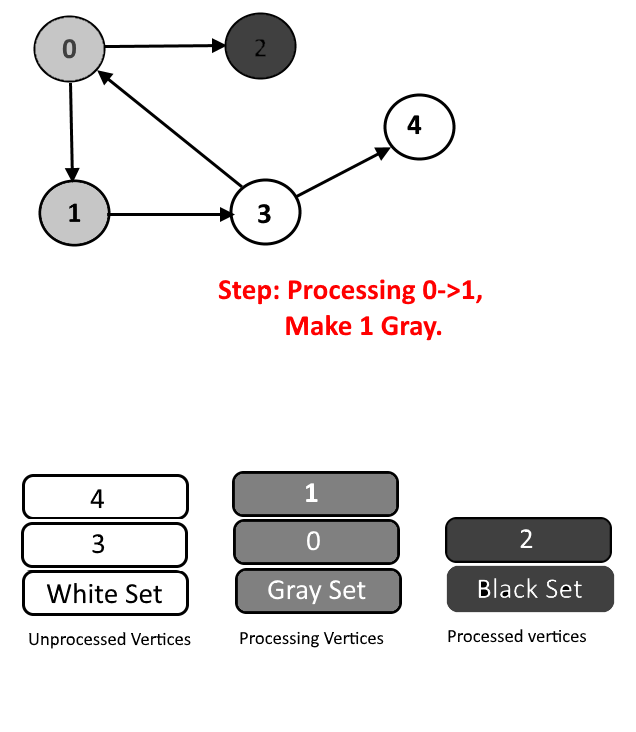 White Color: Vertices which are not processed will be assigned white colors. So at the beginning all the vertices will be white. 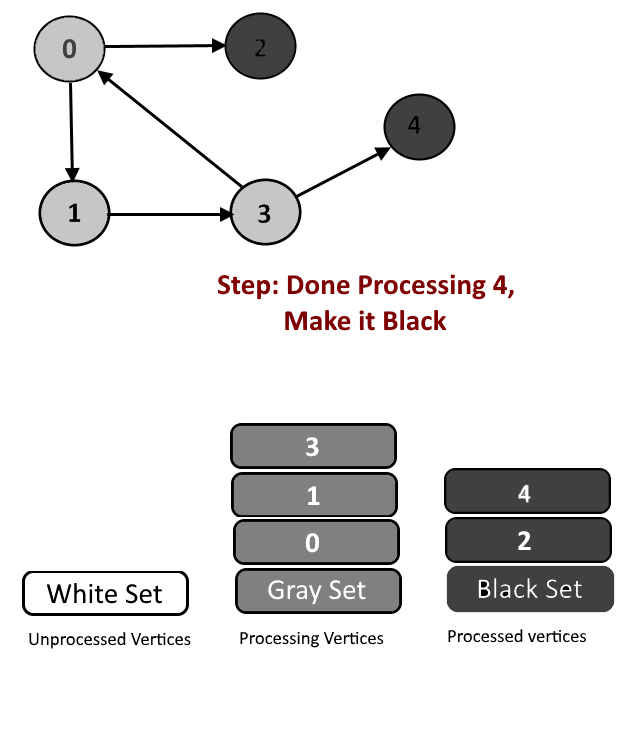 Black Color: Vertices for which the DFS is completed, means all the processed vertices will be assigned black color. 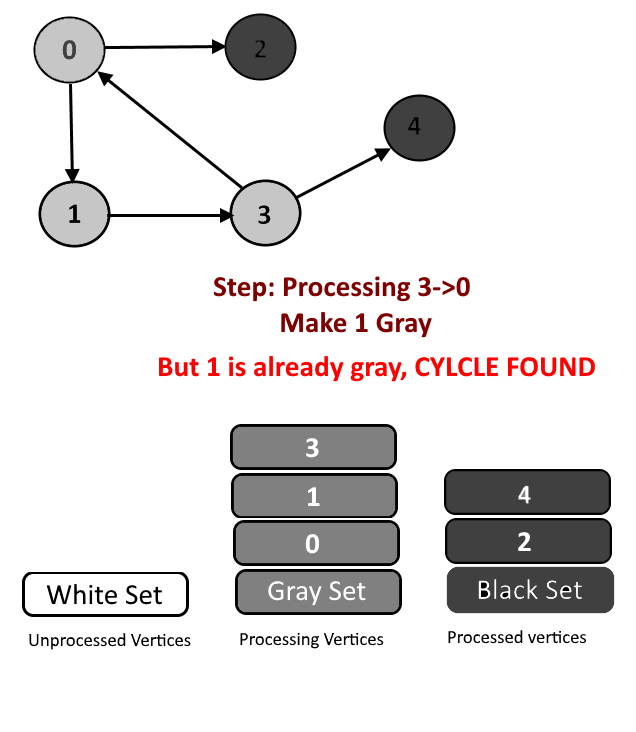 Cycle Detection: During DFS if we encounter a vertex which is already in Gray color (means this vertex already in processing and in Gray color in the current DFS) then we have detected a Cycle and edge from current vertex to gray vertex will a back edge. 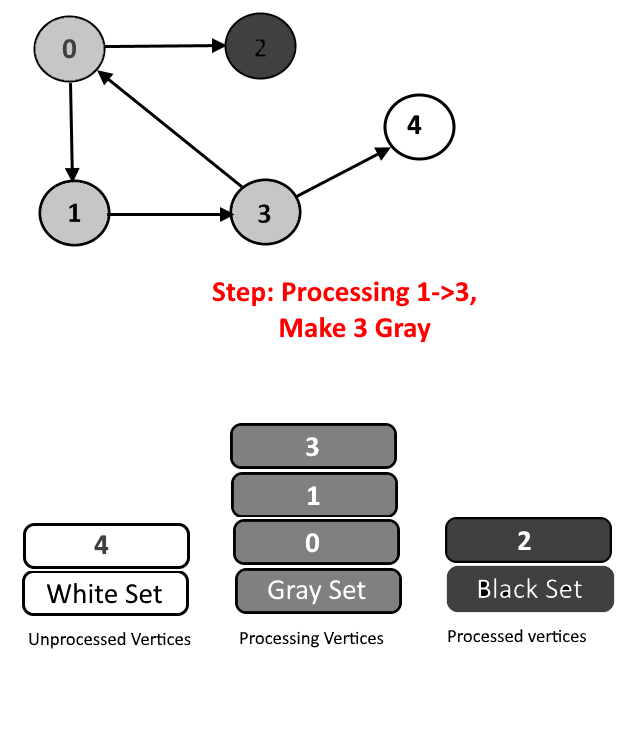 Example – Graph 2->3->4->2. 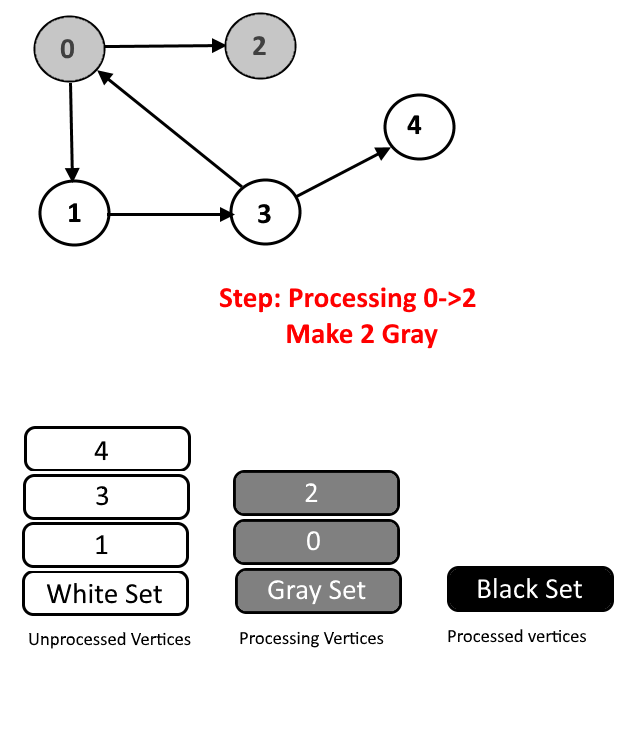 Start DFS from vertex 2 (make it gray). 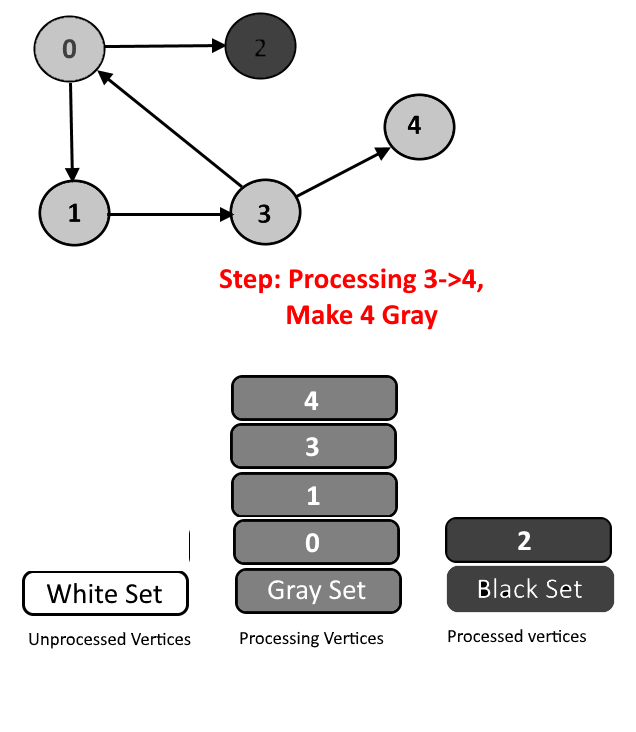 Then vertex 3 and 4 will be in processing (Gray color) and when 4->2 will be in processing, vertex 2 needs to be colored in gray but vertex 2 is already in gray color, means cycle is detected. 263 queries in 0.246 seconds.